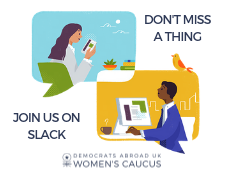 Democratic Activism Abroad: Phonebanking to DAUK Voters! 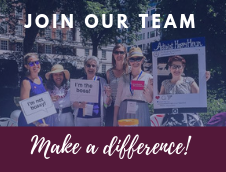 Democrats Abroad can now phonebank from their homes! You can reach out to fellow DA members to get their absentee ballots for the remaining primaries and for the November election, just by using the very efficient CallHub system to place calls in the UK and around the world. Did you know that it’s estimated that less than 1% of Americans voted from abroad in 2016? 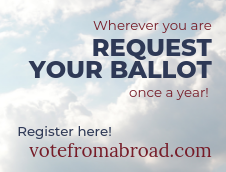 So calling our members and reminding them how easy it is to register through the www.votefromabroad.org website, can increase the Democratic vote in this critical election year! It’s very rewarding to talk to fellow Democrats who want to vote and don’t realize how easy it now is to get that ballot in these critical November elections! There is an introductory training pack and a list of “Do’s and Don’ts”. The Callhub program requires a laptop with the Chrome browser and a headset. While signing up, you will be asked to sign a confidentiality agreement. Scripts for the different campaigns appear with the name and details of the person Callhub has dialed, so you can volunteer for any of the campaigns on the opening page. This effort has a great return on time invested since many members need to re-register and put in a request for their absentee ballot, so you will get a very positive response!